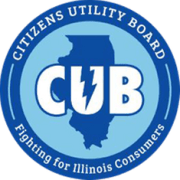 Help CUB spread the word about Energy Efficiency! CUB’s coming to your community and we need your help. We’re building a volunteer team to educate your neighbors about big issues that impact utility bills-and to help people save money. In 2016, the Future Energy Jobs Act was passed, giving Illinoisans the opportunity to take advantage of improved energy efficiency programs as well as new programs like community solar! We are looking for long-term volunteers who can help us continue our fight for cheaper and cleaner energy. This can include anything from reaching out to local elected officials and community organizations to organizing phone banks and letter-writing parties in your community. We can modify our program to meet your interests and needs. Call (312)263-4282 and ask to speak to Matt about our current volunteer opportunities. Our main office is in Chicago, but we welcome volunteers anywhere in Illinois!